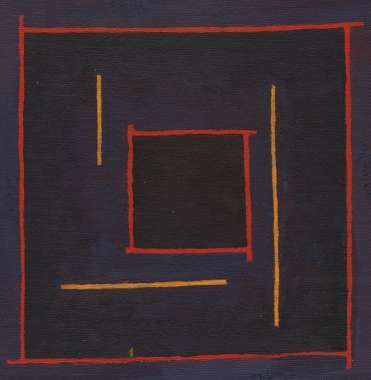 As well as having a fondness for painting squares, I also have a fondness for painting squares that aren't. I think it comes from the same place where I like windows that don't exist but the space in the wall for them does. If you know what I mean. Incomplete squares hinting at the same centre but losing focus as they get bigger.